The Rochester region is lighting the way to an exciting new era of collaboration aimed at fueling innovation and manufacturing in the nation’s Optics, Photonics and Imaging Industry. 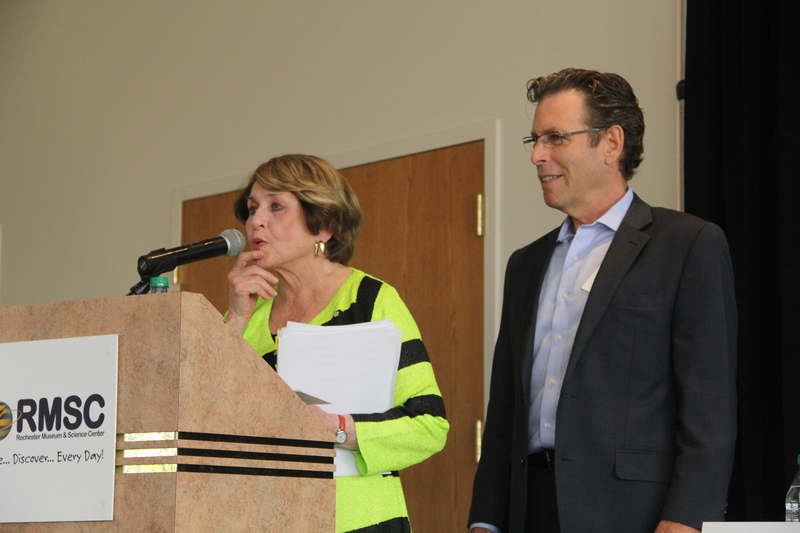 Congresswoman Louise Slaughter delivers opening remarks at RRPC’s Annual Meeting Sept. 4 as RRPC Executive Director Tom Battley looks on. At the Rochester Regional Photonics Cluster Annual Meeting held Sept. 4 at the Rochester Museum and Science Center, leaders in business, government and academia called on the more than 200 attendees to join the push for creation of a National Manufacturing Institute (NMI) for Optics and Photonics to be centered in Rochester. The NMI would be part of a National Network for Manufacturing Innovation proposed by President Barack Obama, bringing together the nation’s research and manufacturing sectors in development of new technologies from concept to production, boosting innovation and increasing manufacturing jobs. Congresswoman Louise Slaughter (D-NY 25th), who has led the push in Congress for Rochester’s NMI designation, opened the Annual Meeting by reaffirming her support of the industry. In June, the U.S. Department of Defense issued a Request for Information from the industry in consideration of a NMI for optics and photonics. The response was overwhelming, generating the most interest of any other industry on the shortlist for consideration. most of any other region in the country, and all for optics and photonics. Most recently, the City of Rochester won an Investing in Manufacturing Communities Partnership designation for the nine-county Finger Lakes region. The designation by the U.S. Department of Commerce will give the region preferred consideration when applying for a potential $1.3 billion in economic development grants, with particular focus on strengthening next-generation manufacturing and development in the areas of photonics, optics and imaging. More than 75 companies involved in optics, photonics and imaging development and manufacturing. They employ roughly 17,000 and account for more than $3 billion in annual sales. Rochester Institute of Technology (RIT) – Home to the Chester F. Carlson Center for Imaging Science, and the Center for Integrated Manufacturing/Golisano Institute of Sustainability. RIT has more than $11 million in active awards for research in the fields of optics and photonics. University of Rochester – Research in optics and photonics is centered in U of R’s Institute of Optics, Laboratory for Laser Energetics and URnano. The Center for Emerging and Innovative Sciences (CEIS) brings together companies and university researchers who have a common interest and encourages them to collaborate. Scholarships were made available through a grant from the Employee and Training Administration in the U.S. Department of Labor for high-tech job training at U of R and RIT. The ETA grant is part of a multi-agency grant program that promotes advanced manufacturing jobs creation in regions having strong industrial clusters. Monroe Community College – Its Optical System Technology Program develops technicians for the optics and electro optics workforce. 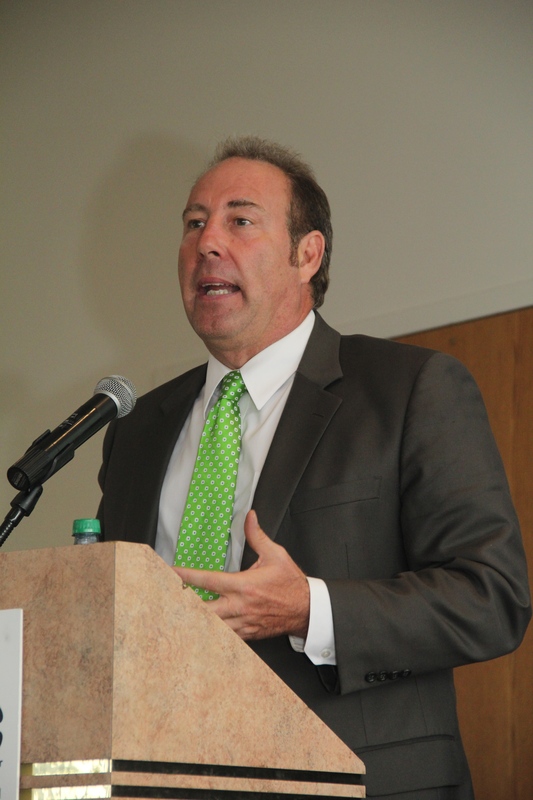 Also in attendance were New York State Senator Joseph Robach, (R-56th), and New York State Assemblyman Mark Johns (R-135th). Dr. Ballentine spoke about the importance of bringing together competitors in business and academia for the common goal of growing the industry nationwide. Other nations have already successfully developed similar manufacturing institutes. Attendees heard from Dr. Füchsel about the history and structure of the Fraunhofer Institute, which is a collaboration between academia, business and government, developing and applying new technologies to marketable products. “You have to collaborate to get good products. 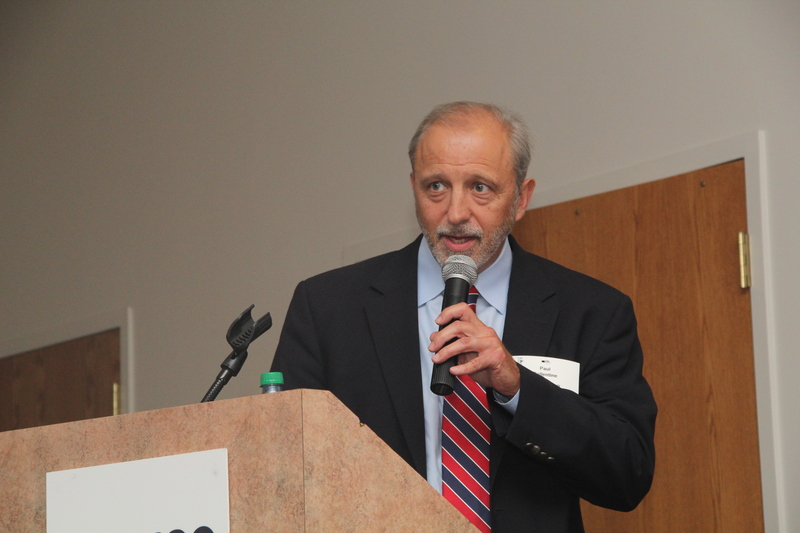 Rochester is a good place to collaborate,” Dr. Füchsel said. The U.S., followed by Germany, is home to the largest percentage of the 2,748 companies that manufacture and ship core photonics components worldwide, such as LEDs, lasers, detectors, images sensors and optical filters, according to a SPIE market analysis. But American and German companies fall behind Japan when it comes to revenues from these companies, said SPIE’s Anderson. In 2012, Japanese firms accounted for nearly half of the $156 billion in revenues from sales of core components. Anderson said that the vast majority of U.S. photonics industry is largely made up of smaller firms, which accounts for the discrepancy. It is hoped a NMI for optics and photonics could help boost those revenue numbers in the U.S.
Great article, Tom. The meeting was a huge success and very informational as to what the state of the industry is world-wide and in our area. My favorite parts were Congresswoman Slaughter’s opening remarks and the “Luci” you passed around at the end. Very cool! I want one as soon as they’re ready to sell! 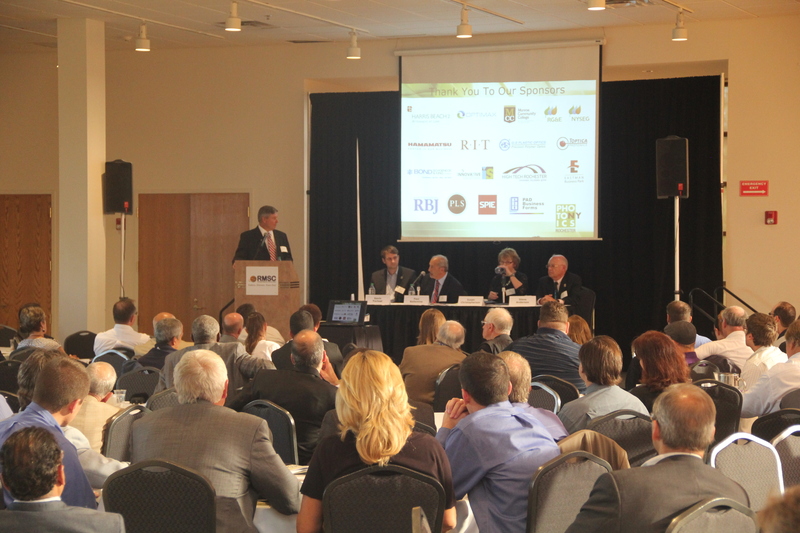 Great re-cap on the 2014 RRPC Annual Meeting- which was a huge success, as always. The push for the national manufacturing institute in Optics and Photonics to be created here in Rochester, NY is stronger than ever and hopefully our dreams will become a reality with lots of continued hard-work to make it happen.